2 Combine all ingredients in large bowl until vegetables are well-coated. 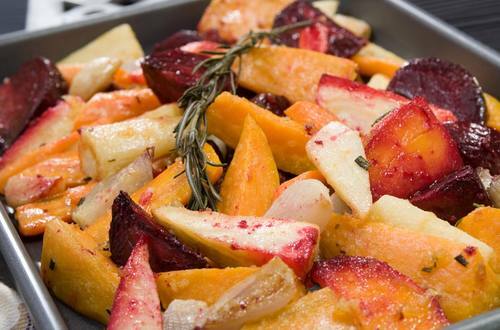 3 Spread vegetables in large shallow roasting pan or jelly-roll pan in single layer. Roast, stirring occasionally, 30 minutes or until vegetables are tender and golden. Sprinkle, if desired, with chopped fresh parsley. Also terrific with Hellmann's® or Best Foods® Real or Light Mayonnaise.